We keep hearing about how important it is to remove our makeup every day, because of the effects it can have on our skin over time when we don’t. However, we haven’t heard about makeup removal for sensitive skin types. Just like our skin care needs to be specific to our skin type, our makeup removal process needs to as well! Our skin is the largest organ in our bodies, and with so many people having skin sensitivities it’s important we take skin care a step further to make sure that we’re structuring the process of skin care around our individual skin types. 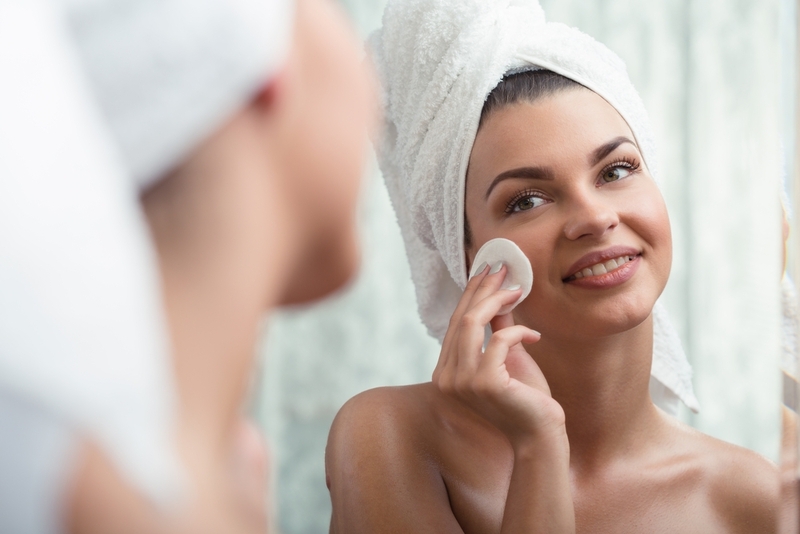 While many makeup removing products aren’t created with ingredients that are harmful, when you have sensitive skin it’s important to know what ingredients are in the products. Many makeup removing products are alcohol-based which can negatively affect and cause harsh reactions to those with sensitive skin. If you have sensitive skin it’s advised by many experts to look for removing products that are fragrance-free and recognized for being hypoallergenic. These are two huge factors to consider when looking for removing products for sensitive skin types. Many women think after they’ve removed their makeup at night they’re in the clear to head to bed right after, but it’s not actually the case. Instead of heading to bed right after you’ve removed your makeup it’s important to first wash your face. Cleansing after will help your skin look better and remove any missed makeup residue that you may have missed. Also, it helps your skin feel more refreshed after wearing makeup for an extended period of time. This goes for all skin types, but even more crucial for sensitive skin because… you’re sensitive! It’s easy to want to scrub the makeup off especially around the eye area because eye makeup tends to be a bit more stubborn. Instead of scrubbing or over-rubbing the eye area it’s advised to hold the cotton swab with removing product (or wipe) on the eye for a minute to let the removing product help to dissolve the makeup and make it easier to remove. Because you have sensitive skin it’s important you be extra gentle so that you’re not causing your skin to have any sort of sensitive reactions or cause too much redness. If your skin is turning red or getting irritated while removing your makeup, you may be being too harsh during the removing process. It’s hard to take your time because typically by the end of the day you want to rush through to get into bed, but your skin and future self will thank you for being patient now… we promise! There are a ton of makeup removing products that have come out to work specifically with sensitive skin types. Remember to take note of the ingredients, read the labels and make sure it fits the recommended requirements listed above. And of course – be gentle! Do you have any favorite sensitive skin makeup removing products?